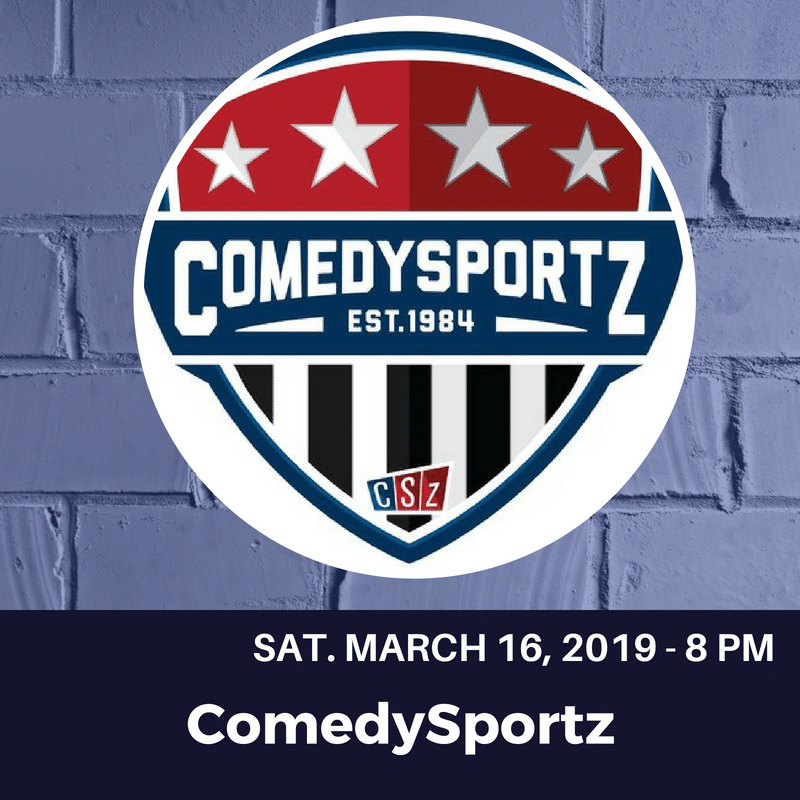 ComedySportz isn’t ABOUT sports, it’s comedy played AS A SPORT! It is an all improvisation, all suggestion-based comedy show for all ages. Two teams of “actletes” get suggestions from the audience, create scenes onstage, and compete for your laughs. You decide what each scene is about, you decide who you think is funnier, and you decide who wins. A referee keeps things moving and calls fouls if an actlete steps beyond the boundaries of good taste. Seven to twelve games are played during a match, drawn from a repertoire of over a hundred improv games. No two shows are ever alike.